Rare Milk Printable Coupon + Enter to Win Milk for a Year! Get a special free milk with purchase coupon when you enter to win Got Milk’s Pour One More sweepstakes! Coupon values may vary, so be sure to come back and tell us what you get. Thanks, Organic Deals & Coupons! Says it will email me and it never came. I don’t understand why some of us got the free milk with 2 milk purchase, a free one with $100 purchase. That is weird. I got a free chocolate milk with a 1 gallon purchase…..anyone else get that one? Don’t know why. Great deal though and was able to print two of them. My kids will be happy. I did get the free half gallon with purchase of a gallon white. Used it on the Silk Chocolate. Not an instant winner. Free w/ $100 purchase. No thanks. Yesterday I got a free Half gal. of Chocolate Milk with the purchase of 1 gal of milk, not too bad!! I also received the free w $100 purchase. I will not be using mine as I don’t plan on spending that much money!!!! I got the free gallon white milk w/$100 purchase in my email. Max Value $4 good ’til 2/11/11. I spend this much weekly. Don’t forget to hit your browser’s back button after printing your coupon, so you can print a 2nd one. Yea, I spend $200 a week on food and my household is 4 people, and 2 of those are toddlers. Buying Organic is expensive!! I don’t spend anywhere near the $100 (hardly) at a grocery store! I use these sites & CouponSense in AZ. I received Free White Milk Gallon (Any Brand) up to $4.00 with a $100 grocery purchase. I never spend that much at the grocery store, and most of my stores won’t accept a printable coupon for a FREE product… but it was worth a shot! Thanks for the post! My coupon went right to my Spam folder. I have Gmail. 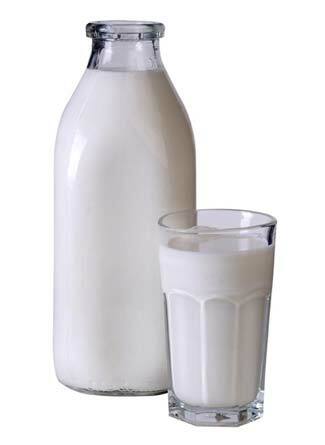 Look for an email with a subject line of “Thank you for registering to Win Milk for a Year” from Milk Promotions. said I was not a winner. did not get a coupon at all. My sister got a free gallon w/$100. She used it at K-Mart with out spending $100. If anyone doesn’t want their coupon I would love it. My son goes through milk like it is going out of style.